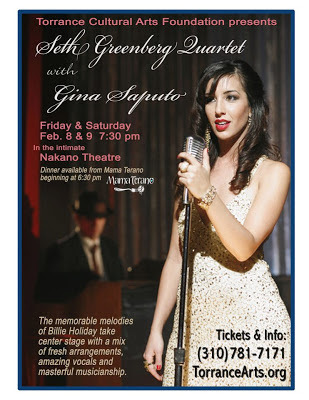 The Seth Greenberg Quartet will be performing a special two-night tribute (Friday and Saturday February 8th and 9th) to the music of Billie Holiday, featuring one of our favorite jazz vocalists, Gina Saputo. The quartet includes saxophonist Dennis Mitcheltree, bassist Eric Sittner and drummer Ramon Banda. Both performances begin at 7:30pm @ the Nakano Theater (3330 Civic Center Drive, Torrance, CA, 90503); dinner is available at the theater prior to the concert at 6:30pm. Tickets have been selling quickly, so purchasing them sooner than later is high recommended. Call either 310-781-7171 or visit TorranceArts.org for tickets and more information. Hope to se u there! Live CD of the Month - "CTI All Stars: Sky Dive 1973"
Featuring: Johnny Hammond (Fender Rhodes electric piano, Hammond B-3 organ), Ron Carter (acoustic bass), Jack DeJohnette (drums), Airto Moreira (percussion & vocals), George Benson (electric guitar), Hubert Laws (flute & piccolo), Freddie Hubbard (trumpet & flugelhorn) and Stanley Turrentine (tenor sax). 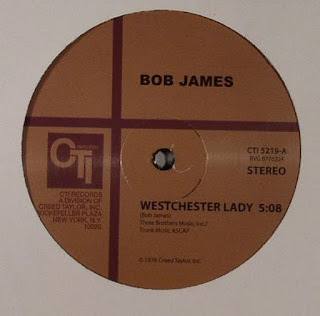 Although listed on the front cover, Bob James didn't play at that concert. 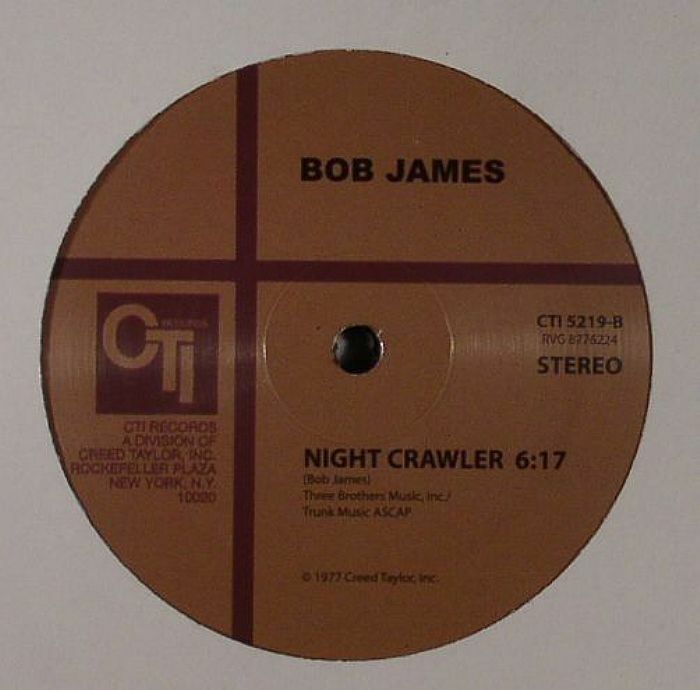 EP of the Month - "Bob James: Westchester Lady / Night Crawler"
What a repress! Bob James is, without argument, one of the most sampled gents in the game. It's so easy to see why... He's one of the most adored musicians in the acid-jazz/dancefloor jazz scene, revered by rappers and producers of the hip-hop generation. His deft ability to compose and arrange groove anthems leaves him in a league of his own. "Westchester Lady" is immediately recognised as the spring board for Adam F's "Circles" and its lush orchestral crescendo and sudden switch in phrase and key. 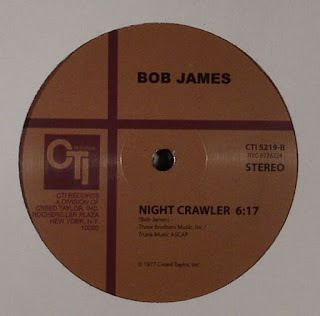 Having been plundered by the likes of Supernatural, Demigodz, Guru and many more, "Night Crawler" is equally as distinguished. A jazz boogie anthem for the heads, if you've not got this in your collection now is your chance! Box Set of the Month - "Charles Mingus: The Complete Columbia & RCA Albums"
Compilation of the Month - "Patti Austin: End Of A Rainbow - The CTI Masters"
Although reissued on CD format nothing less than seven times in Japan, between 1987 and 2010, this is the first time that "End Of A Rainbow" appears on CD outside Asia. 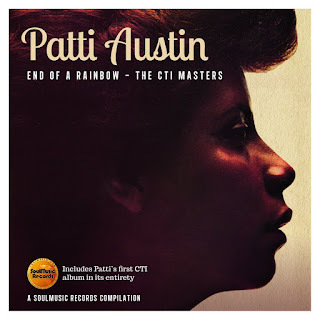 This European issue includes all tracks from Patti's debut solo album for CTI, "End Of A Rainbow" (arranged by David Matthews), plus eight more tracks from Patti's other albums for Creed Taylor: "Havana Candy", "I Just Want To Know", "We're In Love", "I Need Somebody", "Lost In The Stars", "Body Language", "Another Nail For My Heart", and "I Want You Tonight". DVD of the Month - "Raul de Souza"
Twofer CD of the Month - "Keith Jarrett: Mysteries/Shades"
R&B CD Reissue of the Month - "Juicy: It Takes Two"
This first CD reissue in the U.S. of "It Takes Two" -- Juicy's second album for Joe Isgro's Private I label, then distributed by Columbia and now owned by Sony Music -- comes out by the independent company Funkytown Grooves, under license from Sony. 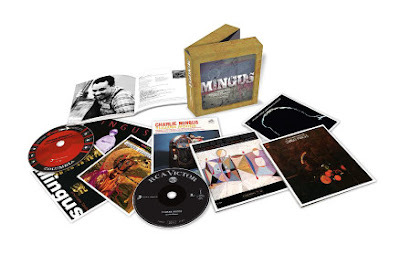 It's a terrific expanded edition which includes, besides the eight tracks from the original LP version, five remixes previously available only on EPs. They are: "Sugar Free" (Deo/Super Dance Mix), "Nobody But You" (Deo-Remix), "Bad Boy" (Dub-Mix), "Sugar Free" (Deo/Radio Remix) and "Nobody But You" (Deo-Dub). The latter was remixed by Eumir Deodato's longtime collaborator (and a former member of the Platinum Hook group) Kevin Jasper, using the nickname DJ KJ. "Sugar Free" peaked at #13 on the Billboard "Black Singles" chart and #45 on the UK Pop chart, while "Nobody But You" reached #59 on the "R&B" chart. "Spread The Love," the "It Takes Two" follow-up album, is also being reissued by Funkytown Grooves. Jazz CD Reissue of the Month - "Duke Pearson: It Could Only Happen With You"
Vocal CD of the Month - "Denise Donatelli: Soul Shadows"
Instrumental CD of the Month - "Till Brönner"
Till Brönner, the brilliant German jazz trumpeter who remains ignored by U.S. audiences and press despite a hugely successful career in Europe, has a new self-titled album coming out today in Europe. The project, inspired by Creed Taylor's legendary CTI label, including some lush string orchestrations a la Claus Ogerman/Don Sebesky by the brilliant LA-based arranger Nan Schwartz, is also a heartfelt tribute to Till's idol Freddie Hubbard, who reached the apex of his career at CTI. Curiously, since Till Brönner records for Verve Germany, the album cover includes the logo of that famous label, another company that Taylor popularized (during the '60s, before the CTI era). The repertoire includes Brönner's "F.F.H. (For Freddie Hubbard)" and renditions of such Hubbard's tunes as "Little Sunflower" (which the late trumpeter recorded for CTI as a sideman on Milt Jackson's masterpiece, "Sunflower") and "Gibraltar" (originally recorded by tenor sax master Stanley Turrentine on "Salt Song," and later revisited by Hubbard himself on some live dates). There are also hauting takes on the gorgeous ballads "Once Upon A Summertime" (the first tune ever composed by ever Michel Legrand, back in 1954, under the original title "La Valse des Lilas", and a definitive proof that the French maestro is a genius!) and "Lazy Afternoon," recorded for CTI by Jackie & Roy on "Time & Love", but covered by Hubbard, some years later, for the best album of his Columbia years, "The Love Connection." Till always loved both songs, and previously recorded "Once Upon A Summertime" in another superb project, "Love Is What Stays," which he produced (and Nan Schwartz arranged) for Mark Murphy in 2007. When I first saw the tracklist of Till's new album, I said to myself: "what do he and Nan think they can do once again with this ballad?" Now I know the answer and can assure you: the best vocal version ever of "Once Upon A Summertime" is on Mark Murphy's CD; and the best instrumental ever is on Till's new CD.